A new poll shows that a majority of Americans would be okay with a mosque in their community. This photo taken Tuesday, Aug. 5, 2010, shows the Muslim Association of Greater Rockford mosque being built in Rockford, Ill. Muslims have been a part of the Rockford community for at least 20 years, but they haven’t had a prominent physical structure on the city’s landscape that visibly symbolizes their presence. The brick octagon-shaped building topped by a gold dome and featuring a green and gold minaret is the latest addition to the Muslim Community Center. It is the result of a 10-year fundraising campaign and a growing Muslim community. Sixty-nine percent of surveyed Americans agreed while 28 percent disagreed, according to the CNN/Opinion Research Corporation poll, released Thursday. Opposition mainly comes from the South where half of the rural population is against mosques in their area. Muslims make up 0.8 to 2.6 percent of the U.S. population, according to the Council on American-Islamic Relations. In recent years, particularly since the proposal of an Islamic center near the site of the September 11, 2011, terrorist attacks in New York, Muslims have been met with increasing fear and opposition to their attempts to build mosques. The American Civil Liberties Union has documented anti-mosque activity in 21 states over the past five years. Lawmakers in Jefferson City (MO) are proposing a bill that would prevent Missouri courts from applying laws based on the law of foreign countries, cultures, and specifically laws based on the Islamic faith. This bill seems redundant and unnecessary, as our courts are required to uphold the Constitution and laws that do not violate the Constitution, and would not uphold a law (foreign or religious) that would be in contradiction to our Constitution or legislatively enacted laws. The real intent of this proposed bill, as reflected in the singling out of Islam and the comments made by the bill’s co-sponsors, is to demean Islam and the thousands of patriotic Missourians who follow the Islamic faith. 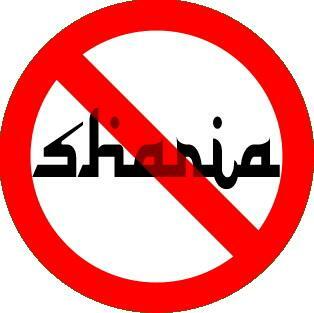 One of the bill’s co-sponsors, Representative Don Wells, has commented that this legislation is needed to prevent the threat of Sharia, law based on Islamic principles, from being implemented by courts in this state. He has stated that the threat of Sharia to our state is similar to the threat that was once posed by Polio. By using such inflammatory language, our state representatives are furthering Islamophobia and misconceptions about Islam. 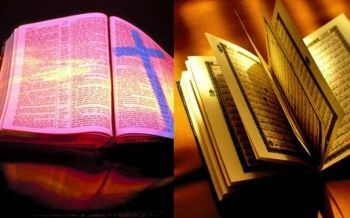 LAHORE: Several religious groups held protests on Wednesday against the reported burning of the Holy Quran by an American pastor in a Florida church in the United States. Besides parties affiliated with the Deobandi and Wahabi schools, the protestors included a Christian organisation as well. The speakers at rallies organised by the former urged the people to prepare themselves for jihad against America. The Christians rally, however, also voiced opposition against the misuse of blasphemy laws in the country. 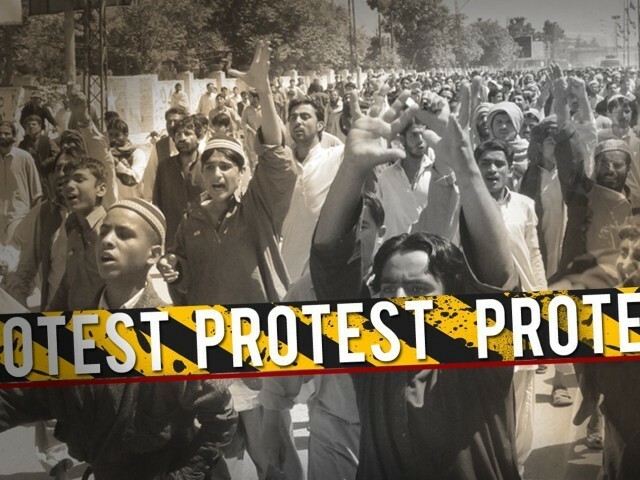 Addressing protesters in front of the US consulate, leaders of different religious parties vowed to struggle for strengthening the blasphemy laws, particularly Section 295-B (defiling of the Holy Quran) of the Pakistan Penal Code. Democracy in the Arab World? The recent hearings on “Radical Islam” are not going to strengthen us, they are just going to push us further apart, says Imam Khalid Latif, a Muslim chaplain at New York University and with the New York Police Department. Demonizing a group isolates them from the rest of society, he says, and prevents us from being able to understand the qualities and values that we do share. 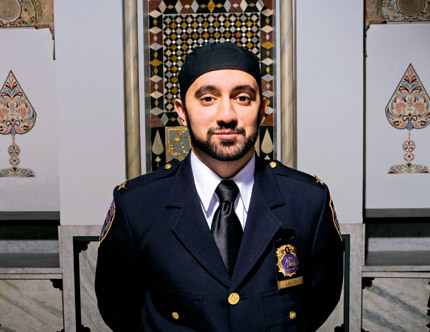 He also talks about standing with families of 9-11 victims, as a Muslim chaplain with the New York Police Department, and how the families have accepted him although the Secret Service has not always been as welcoming. Learn more about Imam Khalid Latif. 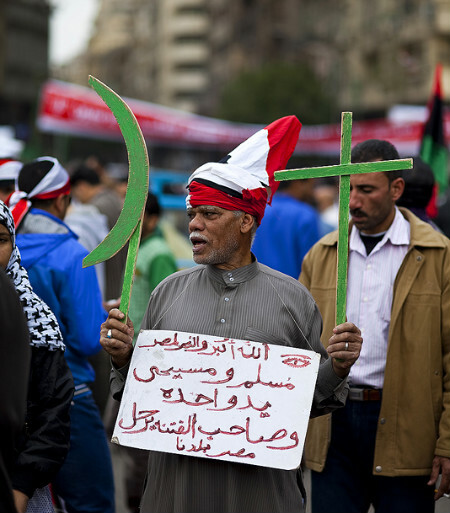 Egyptians from all spectrums of society were waving flags and banners reading “Muslims and Christians are one.” Hundreds of people held up crosses and copies of the Qur’an, chanting “Christians and Muslims are one hand.” Around the country, Muslim imams addressed religious harmony in their Friday sermons. In Cairo’s Tahrir Square, an army general stood on the makeshift platform and lifted high the cross and the Qur’an, saying to the massive crowed, “The crescent and the cross are one. We are all Egyptians, Muslim and Christian.” In the now world-famous square, Muslims and Christians prayed together for the unity and safety of Egypt. It was a peaceful and profoundly heartwarming day. 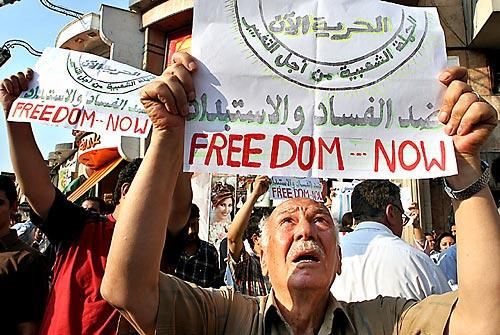 Yet these unity marches came after days of sectarian violence in Egypt that included the burning of a church south of Cairo and clashes between hundreds, if not thousands, of young Christians and Muslims. In an impoverished Cairo suburb, 13 people were killed and more than 140 injured.